100 years of Toronto Star photographs will be available through the Toronto Public Library starting later this year, thanks to the newspaper's decision to donate more than a million historical images from its internal archive. 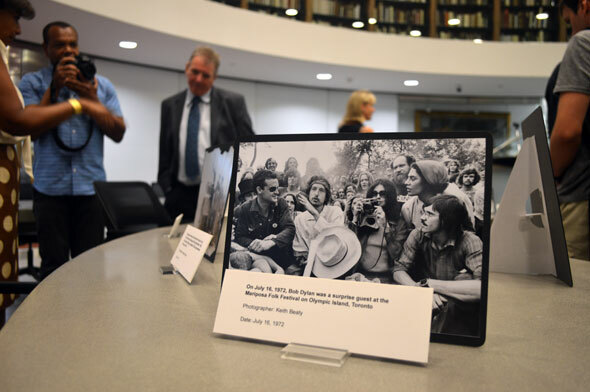 The Star and the TPL announced this morning the entire photograph catalogue, from the 1900 to 1999, will be available in the Marilyn & Charles Baillie Special Collections Centre at the Toronto Reference Library starting this month. Part of the collection--it's not clear how much at this stage--will be viewable online at a later date. Among the images, many of them capturing important Toronto moments and landmarks, there's Joe Carter celebrating the Blue Jays 1992 World Series win, former prime minister Pierre Trudeau sharing an umbrella with the Queen in 1977, a streetcar overturned in a snow storm, and Christmas queues outside Honest Ed's. The collection will be available to the public starting July 7. The long process of digitizing a portion of the images, all of which were taken in the pre-digital era, is currently underway. 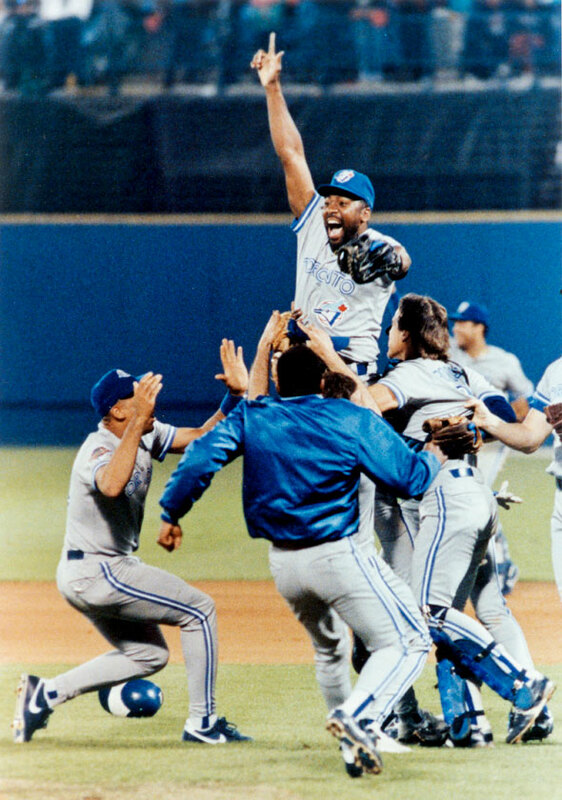 "First baseman Joe Carter leads the celebration of the 1992 Blue Jays World Series win," Mike Slaughter. 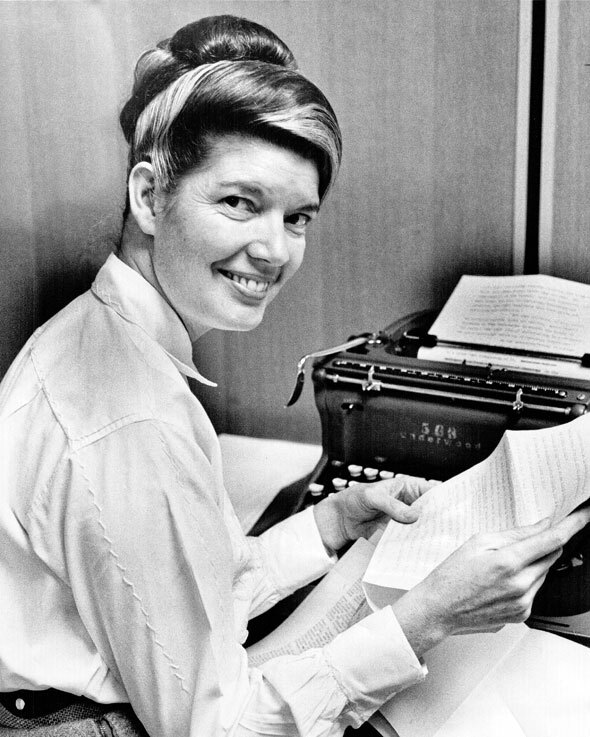 "Torontonian June Callwood, award winning author, broadcaster and social activist at her typewriter in 1966," Norman James. 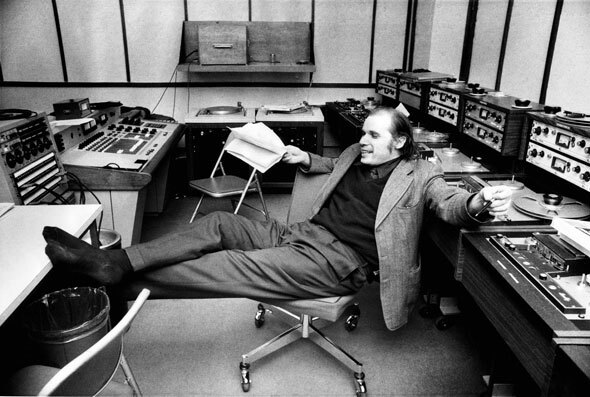 "Pianist Glenn Gould relaxes in a recording studio ten years after retiring from concert hall performances," Ron Bull. 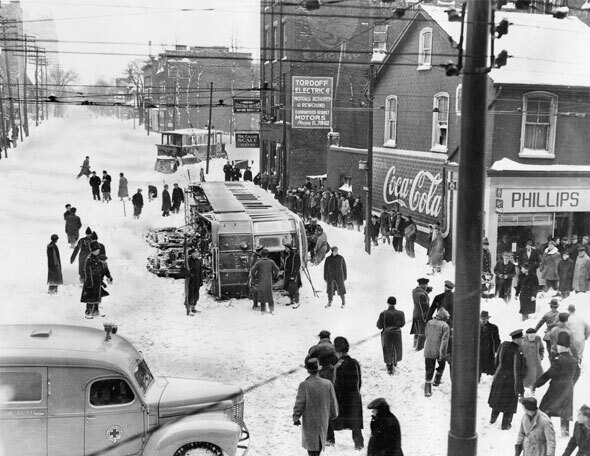 "A streetcar was overturned at the corner of Mutual and Queen Streets in the snowstorm of 1944. One passenger was killed and 50 injured," Alexandra Studio. 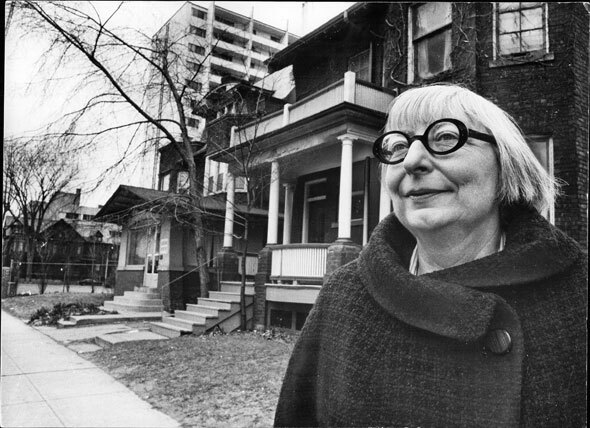 "Urban writer and activist Jane Jacobs standing outside her home on Spadina Road just north of Bloor Street in 1968," Frank Lennon. 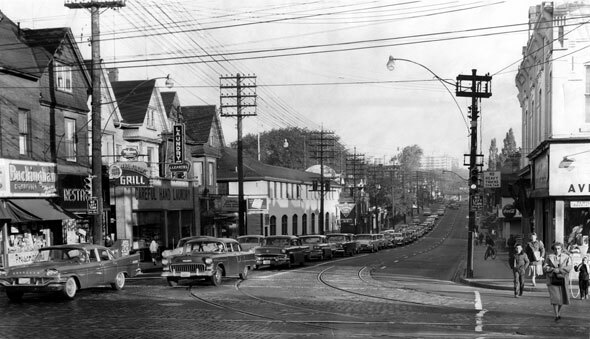 "Traffic moves southward along Avenue Road at Davenport during the morning rush hour in November 1958," Ron Laytner/Frank Teskey. 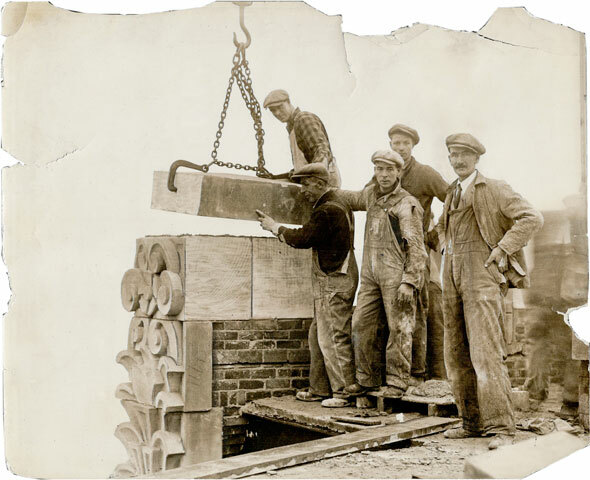 "Construction workers put the last stone into place on top of the Toronto Star building at 80 King Street West in 1928," Alexandra Studios. 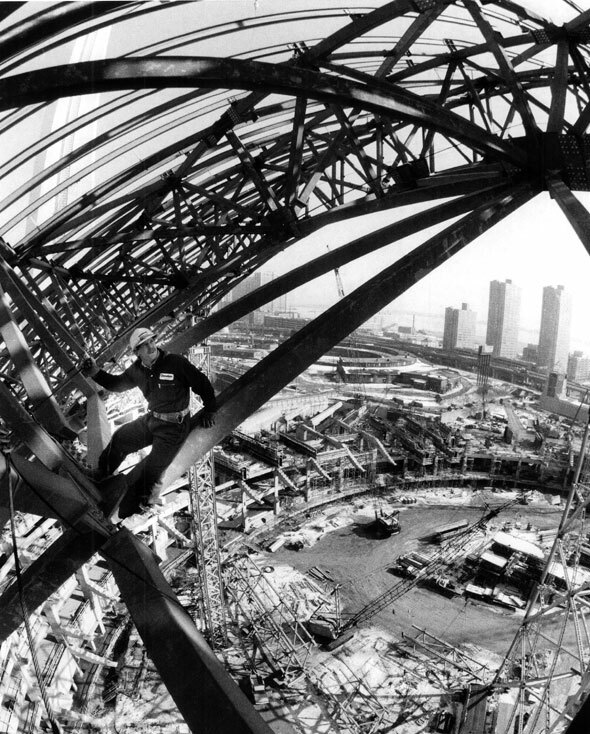 A construction worker bolts structural members for Skydome's retractable roof in 1988," Mike Slaughter.